Want to simplify your work, life, decision making, planning, or whatever generates cognitive load and gives you headaches? Try mind mapping! The human brain is very different from a computer. Whereas a computer works in a linear fashion, the brain works associatively as well as linearly - comparing, integrating and synthesizing as it goes. Association plays a dominant role in nearly every mental function, and words themselves are no exception. 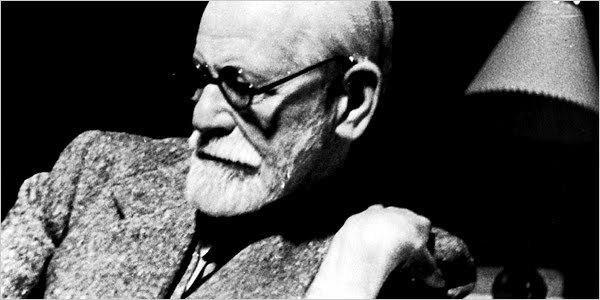 Every single word, and idea has numerous links attaching it to other ideas and concepts. Mind maps, developed by Tony Buzan, are an effective method of note-taking and useful for the generation of ideas by associations, and you can apply them not only to project management tasks, but to every aspect of life where improved learning and clearer thinking will enhance human performance. Mind maps are used to generate, visualize, structure, and classify ideas, and as an aid to studying and organizing information, solving problems, making decisions, and writing. Mind mapping is a powerful graphic technique using the full range of cortical skills: word, image, number, logic, rhythm, color and spatial awareness. It is very effective because of its dynamic shape and form. It is designed to work with the associative, organic nature of your brain’s processing system, thereby drawing upon your natural capabilities. 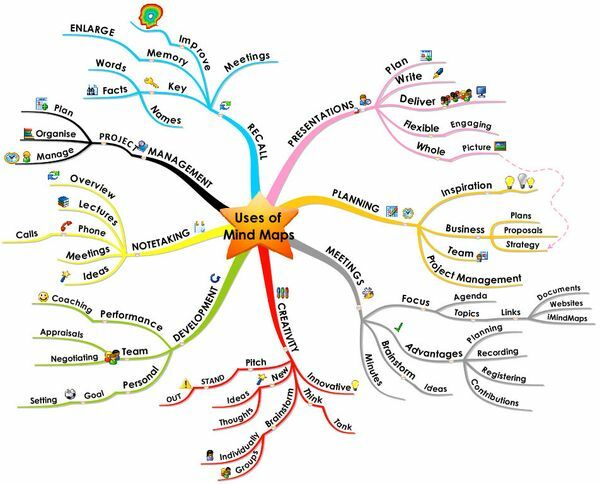 A mind map is a diagram used to represent words, ideas, tasks, or other items linked to and arranged around a central key word or idea. The elements of a given mind map are arranged intuitively according to the importance of the concepts, and are classified into groupings, branches, or areas, with the goal of representing semantic or other connections between portions of information. Mind maps may also aid recall of existing memories. By presenting ideas in a radial, graphical, non-linear manner, mind maps encourage a brainstorming approach to planning and organizational tasks. Though the branches of a mind map represent hierarchical tree structures, their radial arrangement disrupts the prioritizing of concepts typically associated with hierarchies presented with more linear visual cues. This orientation towards brainstorming encourages users to enumerate and connect concepts without a tendency to begin within a particular conceptual framework. Start in the center with an image of the topic, using at least 3 colors. Use images, symbols, codes, and dimensions throughout your mind map. Select key words and print using upper or lower case letters. Each word/image is best alone and sitting on its own line. The lines should be connected, starting from the central image. The central lines are thicker, organic and thinner as they radiate out from the centre. Make the lines the same length as the word/image they support. Use multiple colors throughout the mind map, for visual stimulation and also to encode or group. Develop your own personal style of mind mapping. Use emphasis and show associations in your mind map. Keep the mind map clear by using radial hierarchy, numerical order or outlines to embrace your branches. Mind maps are beginning to take on the same structure as memory itself. Once a mind map is drawn, it seldom needs to be referred to again. Mind maps help organize information. Because of the large amount of association involved, they can be very creative, tending to generate new ideas and associations that have not been thought of before. Every item in a map is in effect, a center of another map. Mind maps are a way of representing associated thoughts with symbols rather than with extraneous words. The mind forms associations almost instantaneously, and "mapping" allows you to write your ideas quicker than expressing them using only words or phrases. by "In culisele psihoterapiei", Iris Gogorici, 2011. Simple theme. Powered by Blogger.